In retirement, people often find themselves missing their longtime occupations. Not Sue and Doug Barnes. 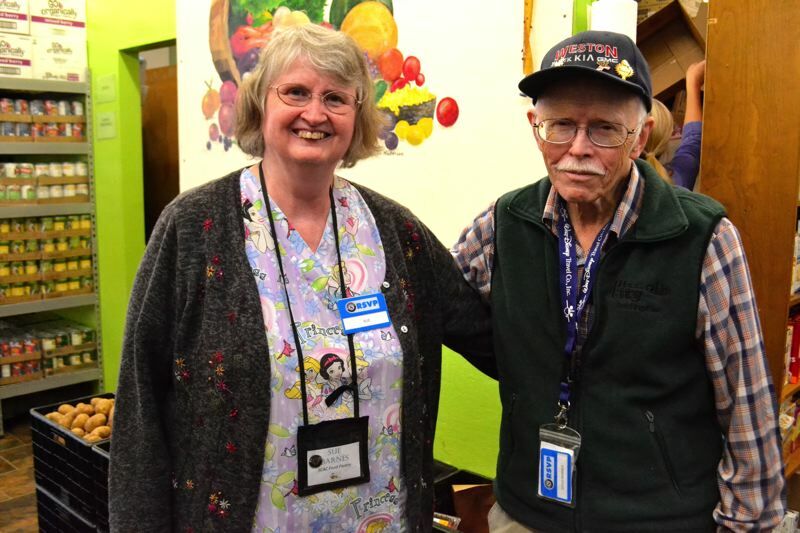 For this Estacada couple, volunteering is a dream job they are happy to now have the opportunity to pursue. The couple filled out applications to volunteer three years ago while at a fundraiser for the Sandy Community Action Center at the Sandy Actors Theatre. Two days later, the Barneses were working their first day in the food pantry. "It was always something I thought about doing and wanted to do," Sue Barnes noted. "(I appreciate) the opportunity to serve the community. This type of job not only helps improve the community, but as far as I'm concerned, there is no paycheck equivalent to the opportunity." The Barneses volunteer at the Sandy Community Action Center, have worked with the American Red Cross and the Clackamas Valley Baptist Church, and help serve an all-you-can-eat dinner at the Estacada Senior Center every third Saturday. 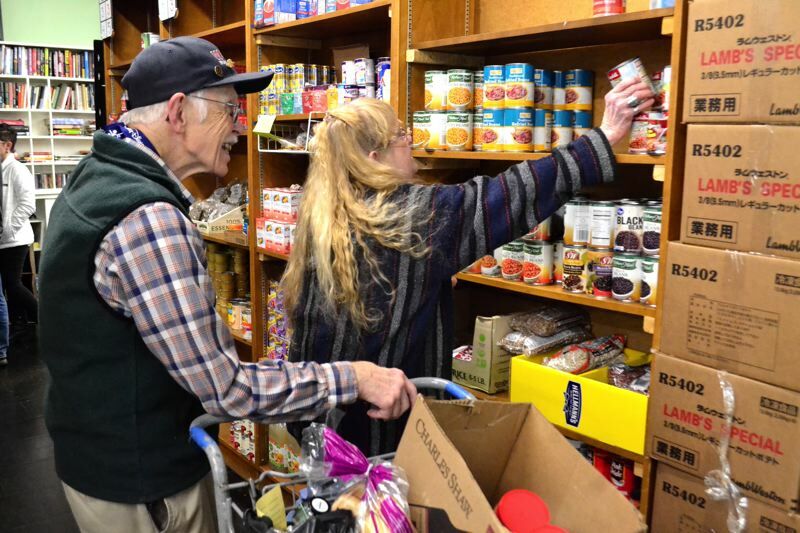 The Retired Senior Volunteer Program in Clackamas County connected them with the Sandy-based food pantry and thrift store. "I learned how to volunteer early," Doug Barnes explained. "I was part of a minister's family. This is the first job I can be myself. When I was looking for a job, I wanted to do what I'm doing." Doug Barnes has worked in several occupations, with food service being the one in which he felt most comfortable. He now uses his experience to recommend recipes and help customers of the food pantry shop and plan meals for their monthly provisions. Return clients have even been known to request Doug Barnes when they come back. "People come in and say 'Next time I'm asking for you,'" Doug Barnes said. "'Because of you, I have a meal plan for tonight.'" "Sometimes it's the littlest things that make an impression," Sue Barnes noted. "Part of the fun of the food pantry ... is we offer choices based on the size of the family. Nobody goes away empty-handed." Sue Barnes worked as a caregiver and housekeeper for 25 years. Her natural tendency to care for people led to volunteerism. While working in the assisted living industry, she placed an emphasis on helping people remain as independent as they can and want to. "I think that's one of the things that started me volunteering," she explained. "There's a lot of people who come in in tears … with all different circumstances. It is just so heartwarming to come in with a friend and be able to leave in smiles." Besides the fact that their experiences at the action center keep them coming back for more, the couple also sees what they've learned as "transferable skills" they can use to help even more people. 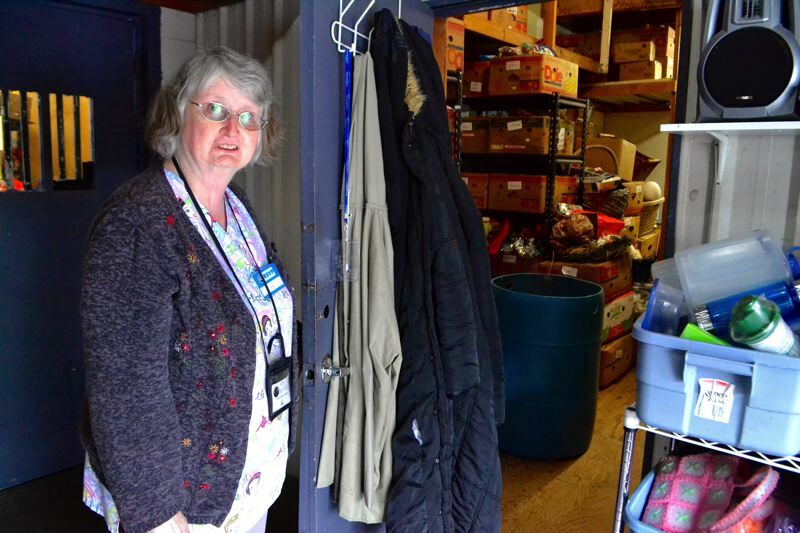 "When we're not in the food pantry, we enjoy the fact that there's opportunities outside of the Oregon Trail School District," Sue Barnes explained. "It just feels good to step outside of ourselves and help fill so many people's needs."